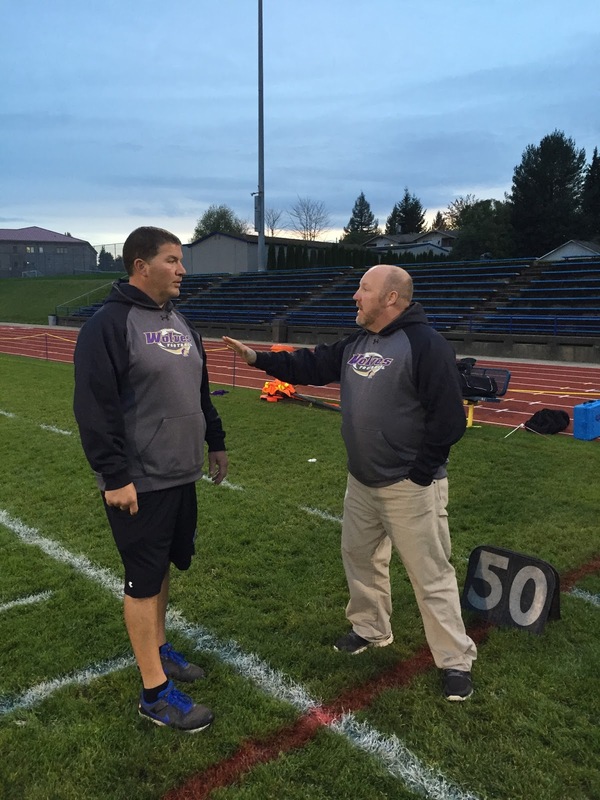 (Bremerton) -- Savante Perrigo scored the winning touchdown on a 34-yard quarterback draw with 22 seconds left as the Bremerton Knights defeated Sequim 27-20, knocking the Wolves out of postseason contention. Bremerton, Kingston and Sequim all finished in a tie for third place in the Olympic League 2A standings with 3-3 records. 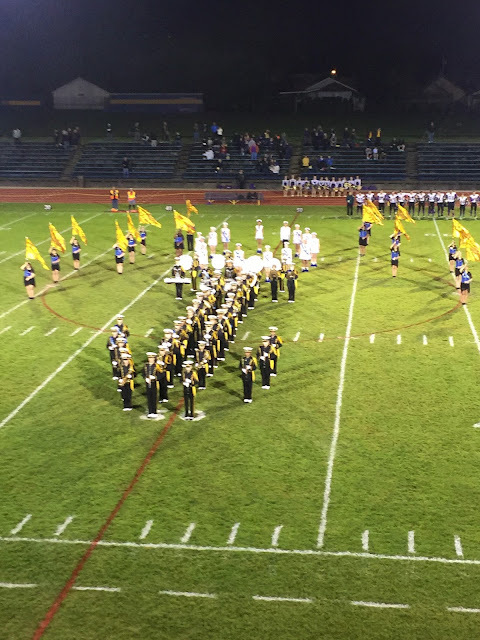 A tiebreaker on aggregate points scored in head-to-head matchups among the 3 schools gave third place to Bremerton and fourth place to Kingston, a 45-21 winner over Port Angeles Thursday. 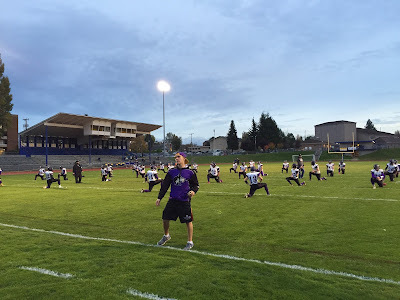 Sequim (5-3) ends the season in fifth place. Momentum shifted several times in the final quarter with the teams tied at 20. Bremerton (3-6) seized the advantage after a critical Sequim turnover, a fumble by Gavin Velarde at the Sequim 37 with just 1:11 to go. Two plays later, on 3rd-and-7 from the Sequim 34, Bremerton quarterback Savante Perrigo dropped to pass, hesitated a moment for receivers to get into position for downfield blocks, then sprinted straight up the middle into the Wolves secondary. The speedster angled to the left sideline and was home free for the winning score. Perrigo rushed 9 times for 134 yards and a pair of scores. The dual-purpose threat completed 5 of his 13 passes for 45 yards and 2 touchdowns, with a pair of interceptions. Sequim's final gasps included a 24-yard slant from quarterback Riley Cowan to Velarde, who got out-of-bounds at midfield with 7 seconds left. On the last play, Cowan dropped back and fumbled, with the ball bouncing into the hands of Sequim lineman Zach Hebert. Hebert made a quick lateral to Brenden Lauritzen, who was tackled at midfield as time expired, sending the Bremerton players and students into elation. Cowan was 14-of-26 in the passing department for 198 yards, a touchdown and was intercepted once. Velarde caught 10 passes on the night for 152 yards and a touchdown. Wolves running back Mark Feeney carried 21 times for 111 yards and Arnold Black had 67 yards on 12 carries and two TDs. Bremerton running back Richard Bios churned up 151 yards on 24 carries. 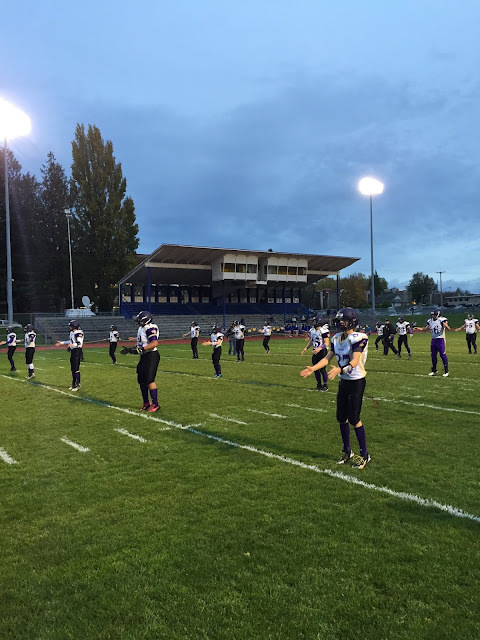 Sequim had slight advantage in total yards -- 383 to 332. But the Knights rolled up 287 rushing yards on 36 carries against a Sequim defense that was missing several starters due to injury. 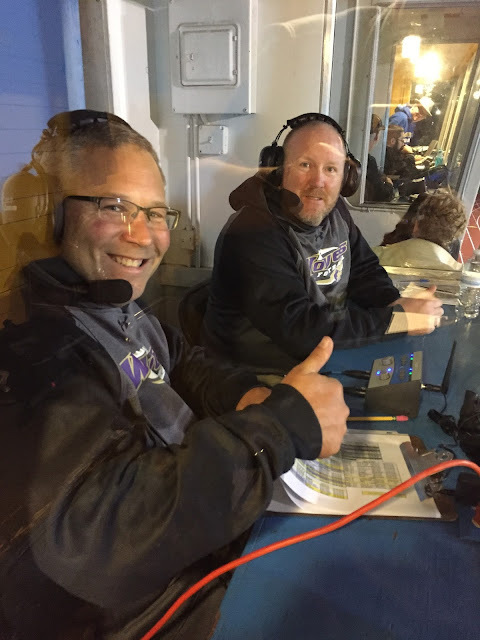 The teams traded touchdowns in the first 3 quarters, Sequim scoring first on a 2-yard run by Arnold Black, with Cowan kicking the PAT and a 7-0 Wolves lead. Perrigo hit the board for Bremerton on a 3-yard run to tie the contest at 7 with 7:15 to go in the opening quarter. The Cowan-to-Velarde connection scored from 18 yards with 1:12 to go to the first break, as Sequim went ahead 13-7. The Knights tied the game at 13 on a 14-yard pass from Perrigo to Teni Vaoifi with 10:55 to go until halftime. 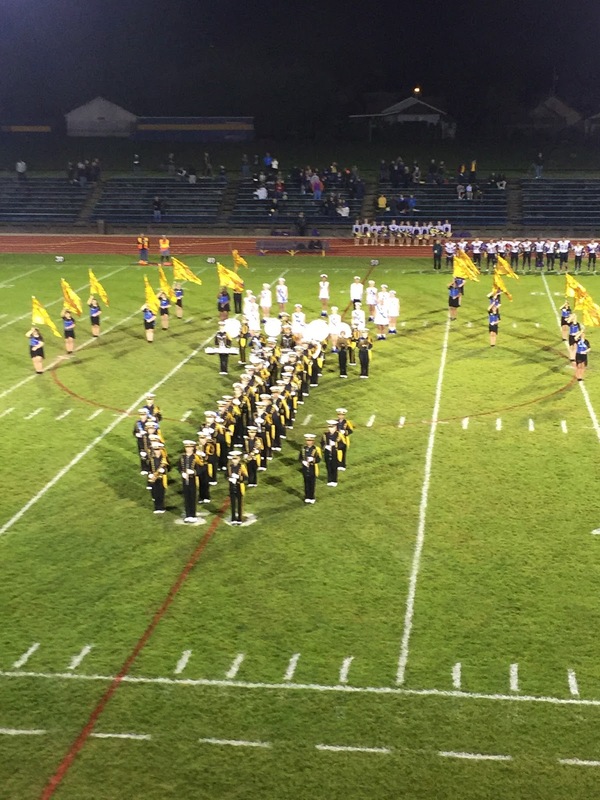 The Wolves squandered a long march into Bremerton territory about a minute before intermission when Vaoifi intercepted Cowan in the end zone on a throw into double coverage. Senior Arnold Black's 4-yard touchdown run put Sequim ahead 20-13 with 3:01 to go in the third quarter, his fifth rushing TD of the campaign. Bremerton tied the game at 20 with 1:53 to go in the third with a 12-yard pass from Perrigo to Mikhail Papillon. Early in the final period, Sequim drove 11 plays to the Bremerton 40, but Velarde was stuffed for a yard loss on 4th-and-2. 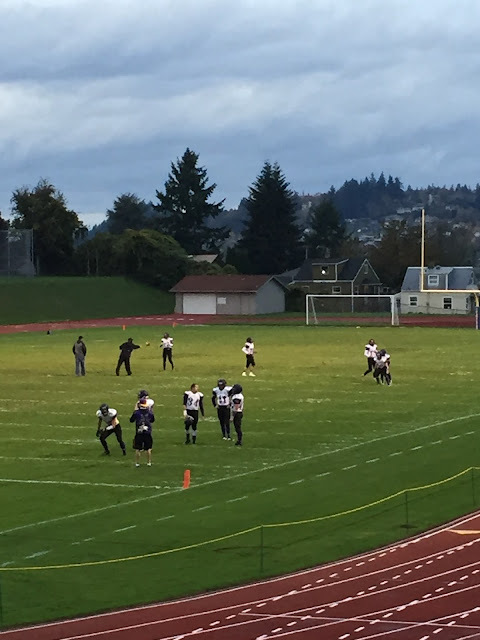 The teams exchanged punts and Bremerton got the ball with 5:38 left at the Sequim 45. 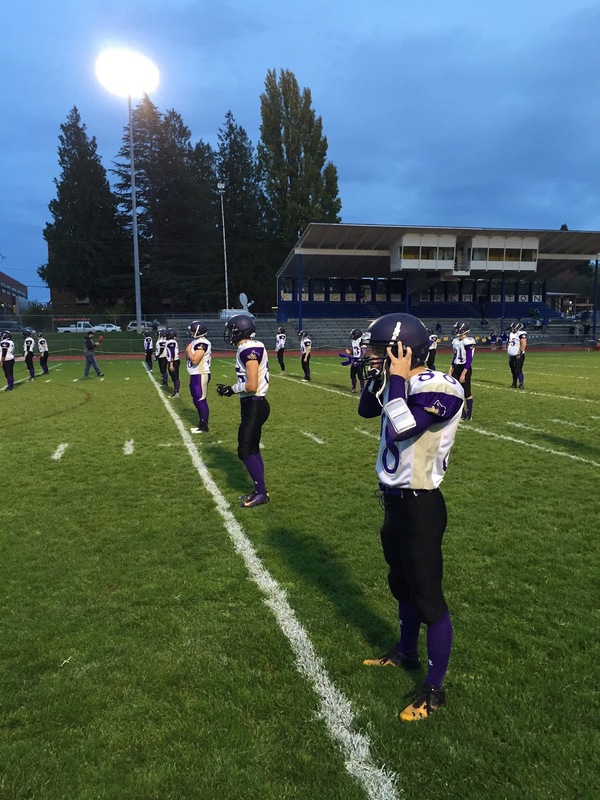 The Wolves defense came up with a big interception of Perrigo by Velarde at the Sequim 37. The next scrimmage play, Velarde caught a Cowan pass for 37 yards to the Bremerton 26. However, the drive fizzled after a bad snap led to a 12- yard loss, then an illegal procedure penalty wedged around a pair of incompletions. Velarde punted into the end zone with 2:28 left and Sequim forced a Bremerton three-and-out, the Wolves getting possession with 1:23 left. 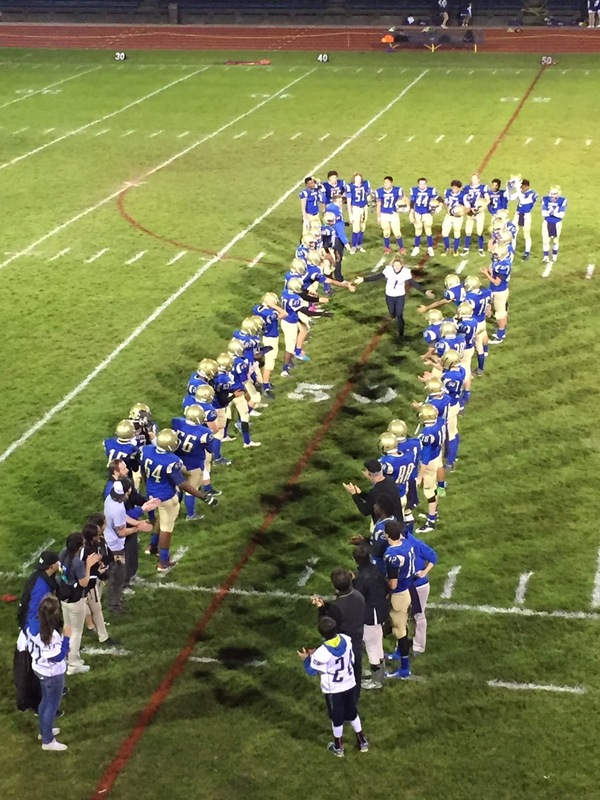 When it appeared overtime could be in the making, Velarde caught a short pass on the left sideline, but lost possession in a scrum to Bremerton, leading to the Knights' winning score. Velarde had 13 touchdowns on the season, 4 rushing, 7 receiving and 2 kick returns. Cowan had 12 touchdown passes in his freshman year of high school. Drive: 5 plays, 40 yds, 1:20. Key play: Velarde 57 yd kickoff return to Bremerton 40. Drive: 8 plays, 62 yds, 2:56. 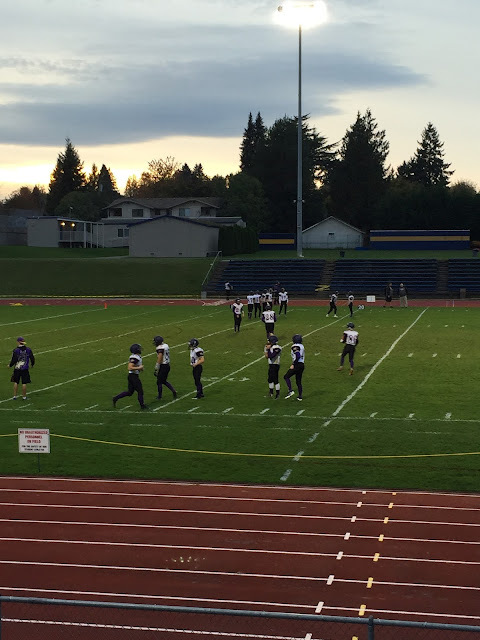 Key play: Perrigo 27 yd run to Sequim 30. Drive: 7 plays, 41 yds, 2:22. Key play: Velarde 23 yd punt return to Bremerton 41. Drive: 6 plays, 51 yds, 2:05. Key play: Perrigo 20 yd run to Sequim 48. Drive: 3 plays, 14 yds, 1:15. Key play: Bremerton fumble at Sequim 14. Drive: 5 plays, 65 yds, 1:06. Key play: Perrigo 36 yd run to Sequim 29. Bremerton - 34 yd run Savante Perrigo (Reed kick) :22, 27-20 Bremerton. Drive: 3 plays, 37 yards, :49. Key play: Velarde fumble at Bremerton 37. Seq -- Mark Feeney 21-111, Arnold Black 12-67-2TD, Gavin Velarde 10-27, Riley Cowan 3-(-20). Bre -- Richard Bios 24-151, Savante Perrigo 9-134-2TD, Teni Vaoifi 1-(-4), Ethan Hacker 1-0, Atyus Powell 1-6. Seq -- Riley Cowan 14-26, 198 yards, 2TD, 1INT. Bre -- Savante Perrigo 5-13, 45 yards, 2TD, 2INT. Seq -- Gavin Velarde 10-152-1TD, Noah Christiansen 3-40, Mark Feeney 1-6. Bre -- Teni Vaoifi 2-23-1TD, Mikhail Papillon 1-12-1TD, Atyus Powell 1-5, Richard Bios 1-5. Seq -- 14-26, 198 yds, 1TD, 1INT. Bre -- 5-13, 45 yds, 2TD, 2INT.